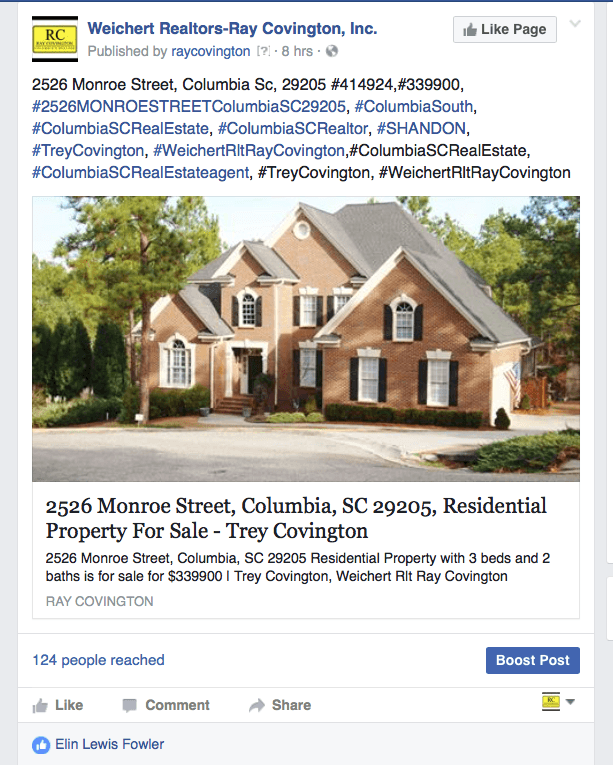 If you’re looking for Facebook Marketing for Realtors or how to efficiently make Facebook work for your marketing, we can help! Facebook is one of the Realtors most potent tools. Facebook can provide both direct and indirect marketing. It is also an excellent marketing tool for your buyer and sellers. Today, few things are more potent in a sellers mind than showing them an active social media campaign—and, trust me, if you’re not showing your listings appointments your social media campaign, your competition is! With our automated listings, every one of your listings moves from the MLS to your Facebook. Moreover, with our system, each listing is “tagged” and indexed according to address, MLS area and keyword(s). Simply put, our system helps people find your listings on Facebook, Twitter, Google, and other sources. Here’s the best part! For just pennies a day, you can put this powerful marketing system to work for you (24 hours day/7 days a week)—click here, to find out more. We will set up your social media channels (Facebook, Twitter, Google Plus, etc. ), and we will make it work for you!